The euro came off a little Friday, following an unprecedented rally of over 3.5 cents on the previous two days. The pair has spent most of the day hovering close to the 1.47 line, the single currency in decline, having failed to breach resistance up at 1.4780. There has been little in the way of meaningful economic data Friday and traders are now positioning themselves ahead of next week’s Federal Reserve meeting on Wednesday. Legitimate questions about the wisdom and necessity behind this week’s emergency rate cut in the US remain unanswered and Ben Bernanke’s already fragile credibility is coming under increasing scrutiny. The panic sell-off Sunday night and Monday of $60 billion of stock indices futures by the French Bank Societé General (the employer of rogue trader Jerome Kerviel) is reported by much of the media today as having been a major contributory factor to Monday’s mayhem on global stock markets. Any hint of a link between this and Ben Bernanke’s decision the very next day, to suddenly cut US interest rates by the highest margin in history, is sure to be the stuff of legends and no doubt will be transformed into a blockbuster movie in the not too distant future. The US economy is either in recession or it is being talked into recession by the Fed and it will be most interesting to see what the FOMC have to say in their statement next Wednesday. Next week also sees the release of the latest US employment data and if this report prints positive, against the backdrop of a further rate cut next week, Mr Bernanke will stand accused of serving Wall Street’s immediate interests ahead of the longer-term interests and sustainability of the US economy. Bernanke will be damned if he does and damned if he doesn’t next week and as financial markets are expecting a further 50 basis points cut, it will be a surprise if the Fed does not deliver. It may prove more beneficial in the longer run were rates to be kept on hold on Wednesday, because to cut rates to 3% now is going to leave the Fed with very little charge left in the battery to face the challenges in the months ahead. The euro will have its best chance of reaching the coveted 1.50 price handle next week, although there will possibly be reluctance to force the price through until traders see what the Fed decides. Strategy: buy euro on dips towards 1.46 with upside limit prices of 1.4720, 1.4770, 1.4820 and 1.49. We will look at the lie of the land again Monday. Sterling has had its best week of the year by far, gaining 3 cents against the dollar and half a penny against the euro, while the sterling crosses on the yen and Swiss franc have also done very well. There was no data out of the UK Friday but the pound uses its current momentum to push the pair to the key 1.9850 price level. A strong close near to this price Friday could see sterling rally to the 2 dollar line next week, with the dollar likely to be lightly supported ahead of the Fed’s rate decision on Wednesday. There is scope for a possible move to 2.01, the high breached just before the New Year, but cable’s fortunes depend as much on risk aversion levels remaining contained as they do on a defensive dollar. I am still bearish on the UK currency and am reluctant to buy it at all and prefer to wait for the best time to sell. Once the attention shifts after the Fed next week, the focus will very much be put on sterling again and the currency is going to come under selling pressure, particularly if economic data remains soft and with the Bank of England most likely to cut rates at its February rate setting meeting. I prefer to stay away from cable until after the Fed rate announcement. The euro dropped to 0.7408 today and there is the potential for a fall to 0.7350, if stock markets remain robust up to next Wednesday and the appetite for high yielding currencies remains high. 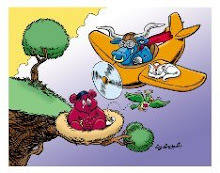 Strategy: Stay on sidelines until after Fed meeting, but if risk aversion levels do rise again stock markets decline sharply), sell down on prices from around 1.98 with limit prices of 1.97, 1.9660 and 1.9580. Trade with a stop loss just above 1.9850, because if that price gives, cable could quickly move to the 2 dollar line. The Japanese currency has had an up and down day, losing heavily earlier in the session but rebounding as European stock stumbled to the close. Traders are now quick to offload the low-yielding yen which is hampered by the prospect of a further Fed rate cut next Wednesday, leading to carry traders exchanging the yen for higher yielding currencies like the pound, Australian and New Zealand dollars. The euro bounced back to Y159 early in the European session, an extraordinary turnaround given the pair had fallen to Y152 twice this week. They yen has found some support at the Y108 level against the dollar, but if this price gives way, either today or early next week, we could see Y110 reached by next Thursday, if the Fed does cut rates again on Jan 30th. We could also see a total capitulation of the Japanese currency next week, across the board, if stock markets remain stable and risk appetite intensifies. EUR/JPY is likely to reach Y160 by the middle of next week, but entering the market at the current price is not without risk, given the still fragile sentiment on global markets. There is however never a shortage of takers of risk when it comes to shedding the yen, when market conditions stabilises, so it is certainly worth buying the euro against the yen when prices move to extremes (close to Y152), as it is the dollar (when the dollar falls close to Y105). Strategy: Buy EUR/JPY on dips towards Y155 – Y156, with upside price targets of Y158, Y159 and Y160. The loonie advanced by 2% against the US dollar Thursday, on a day when there were no economic indicators released and following a report published by the Bank of Canada, which downgraded its growth outlook for 2008 to 1.8%, from the 2.5% forecast last October. While there was general greenback weakness Thursday, the loonie’s appreciation is difficult to understand because the currency also advanced by 1% against the euro and by more than this against most other leading currencies. Friday’s inflation data was softer than expected with the Bank of Canada’s core inflation rate falling to 1.5%, the lowest reading in 2 years and gives muscle to the Central bank to further cut interest rate in the months ahead. This would normally be damning for a currency and see it go into freefall, but not the loonie today. Having retreated for a 5 minute period, the currency was soon trading at the point at which it was at just before the print. There are some of those mysterious forces we have seen before resurfacing and driving the loonie in recent days and the currency has suddenly grown decidedly bullish. The loonie is now trading over 3 cents better against the greenback than where it was on Tuesday around the time of the Bank of Canada announcement. There is a determined push to drive the pair to below parity once again and with the dollar likely to be vulnerable next week with the Fed expected to cut rates once more, this will widen the rate differential even further in favour of the Canadian dollar and USD/CAD bears may be able to force price down towards the 0.9756 price level seen over the Christmas holiday period. Strategy: I remain bearish on the loonie but I’m holding off on going long until I see the current correction bottom out. EUR/CAD looks to offer value on prices close to 1.47, although there is danger right now because if the loonie breaks below the parity line against the US dollar, the euro could possible fall to 1.45 against the Canadian currency by the middle of next week. If you have long-held positional trades on USD/CAD, you will need to bring your stop loss to below 0.9750. Next week could be a rollercoaster but the event calendar looks to favour the loonie, although it should also bring to a conclusion the loonie’s current burst of strength.